Rytmik covered dance, Rytmik: Rock Edition was – you guessed it – based on rock, and the third entry in the series has a similarly self-explanatory name. 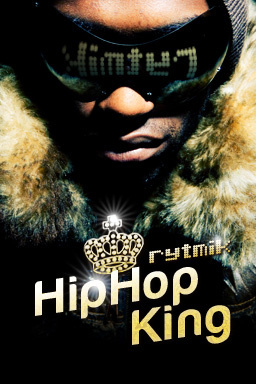 Rytmik: Hip Hop King is set to drop on European DSiWare on February 11th, for 800 Nintendo Points, with a North American release to be announced. Like previous releases, it allows you to create your own tracks by lining up over 128 samples of drums, percussion, record scratches, melodic instruments and more. There's no mention of any vocal samples, so it'll be up to you to provide the MCing, but if past releases are anything to go by you should be able to create something impressive with the right time and effort. Rytmik: Hip Hop King is out on February 11th priced at 800 Nintendo Points, and we'll have a full review for you shortly after its release. Not buying, its blatantly going to sell for 200 points in the US because they get it a couple of weeks later, such a joke. I liked the previous two, and this one seems interesting, but I'm not getting it. I love rock and still want to make soooooo many more things with Rock Edition, anyway. I wonder what the next Rytmik will be? Ok. I love music software on the go, but hip hop is not too hip for me. Lets have Rytmic 2 with synthesis engine and soundtweaking...and perhaps sample downloading(or even sampler), to make it fit ANY genre. 3DS? Imagine all the autotune-like music made of coins being collected and goombas being stomped. Fun! I agree with Varoennauraa: RYTMIK would be even better with a sampling download or sampling feature. Some real sound tweaking tools (e. g. Low Cut Filter, ADSR Control) would be nice. Bit still I guess I will buy "Hip Hop King" to support the developers. So they can go on making great RYTMIKs and improve them!! !